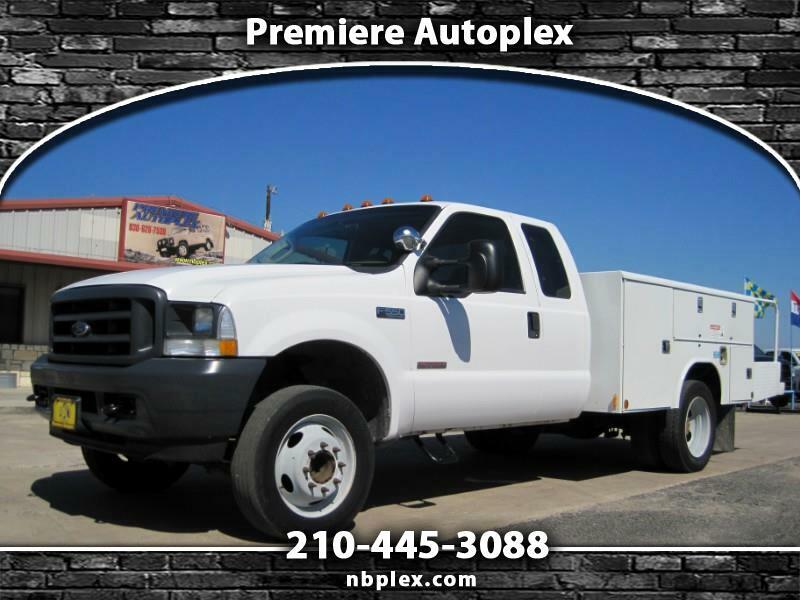 2004 Ford F-550 SuperCab / Extended Cab 4Dr, 2WD, 9' Utility/ Service Body with 3.5' Extension step platform/work deck, 6.0L Powerstroke Turbo Diesel, Automatic, Very Nice, Very Clean, Utility Bed Powerstroke with only 72k Miles. Recently inspected and serviced, this F550 is ready to go to work. Perfect setup with vinyl seats and rubber floors !! Call today before it's gone.. Message: Thought you might be interested in this 2004 Ford F-550.